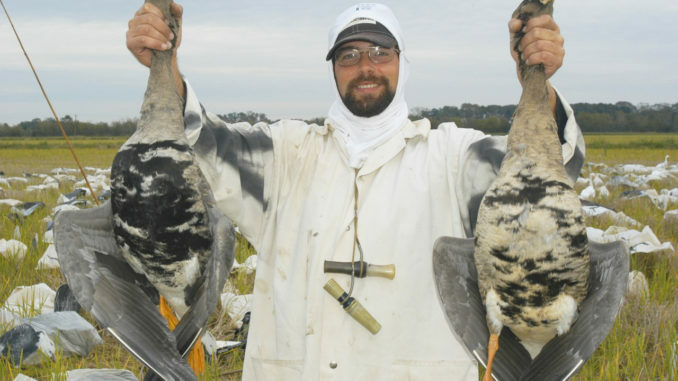 Specklebellies typically don’t arrive in Mississippi until the latter parts of the season. The season opens statewide on Nov. 9, and the first segment runs through Nov. 25. From that point, the goose season is consistent with the duck season — Nov. 30-Dec. 2 and Dec. 5-Jan. 25. The early goose season isn’t lost on Tony Weeks of Jackson, who makes use of it to take a few Canada geese from the upper area of Barnett Reservoir and a few spots on the main lake. “The Rez is covered up in local Canadas, and you can shoot a few every time you go for a week or two,” Weeks said. 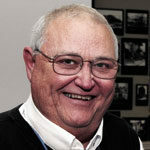 “Once the shooting starts heavy, like with duck hunters later in November, a lot of the geese will just fly to the lower end of the lake where hunting isn’t allowed. I bet those parks and neighborhoods down there get even more crowded with the danged things. Neither Barnes nor Weeks killed other goose species in November last year, when the season opened Nov. 10. Dates: Nov. 9-Nov. 25; Nov. 30-Dec. 2, and Dec. 5-Jan. 27. Daily limits: 3 Canada geese; 3 white-fronted geese; 1 Brant goose; and an aggregate total of 20 snow, blue, and Ross’ geese. Possession limits: Three times the daily limit on Canada, white-fronted and Brant geese; no possession limit on snow, blue and Ross’ geese. Light goose conservation order: Special season on light geese, including snow, blue and Ross’ geese opened in October and ends Nov. 8; reopens Jan. 28 through Feb. 1; reopens Feb. 3 and ends March 31. There is no limit.